subhodeep is using Smore newsletters to spread the word online. A Division of Quality Systems & Inspection Service. QSIS Express is the logistic service provider division of Quality Systems & Inspection Services. During the last 12 years QSIS has provided various types of quality management services to many industries across India. Our third party inspection,HAZOP study ,QRA, Energy audit are well known to industries. In order to provide best possible service for document/ article transfer, QSIS has opened a division called QSIS Express. 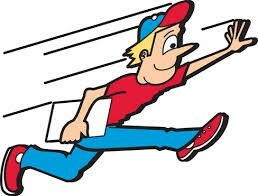 Our super quick , same day delivery service for local area are considered as 100% reliable. Presently we are operating in Kolkata Metropolitan & Howrah area and shortly we would extend our service to rest of west Bengal and ultimately to other states of India. Come to us and give us your document/ article before 12 noon and we shall deliver the same day for Kolkata & Howrah. Unbelievable but true. Try us and you will never go back to others.